Comedian Jim Jeffries has announced a special One Night Only show on Friday, February 23 at the Riverside Theatre, Perth Convention and Exhibition Centre. In a busier than average year, 2017 kicked off with Jeffries having his very own late-night series commissioned for Comedy Central. 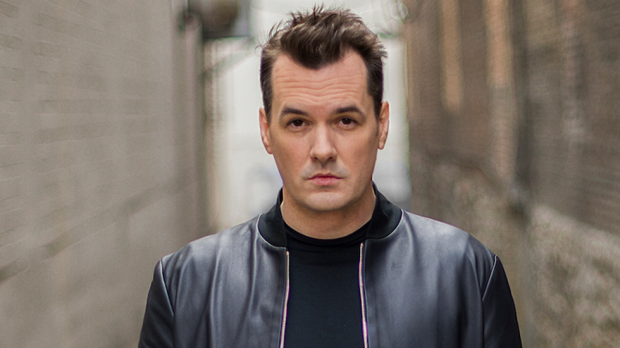 The topical Jim Jefferies Show featured him travelling across the globe to tackle the top stories and controversial issues of the day. With an initial order for ten half-hour episodes, the show’s popularity quickly saw a further ten episodes commissioned and aired after a five-week hiatus. Having released five stand up specials in seven years, and mammoth tours across the UK, USA, Australia, Europe Israel and Canada under his belt, Jeffries is one of the biggest names in comedy. 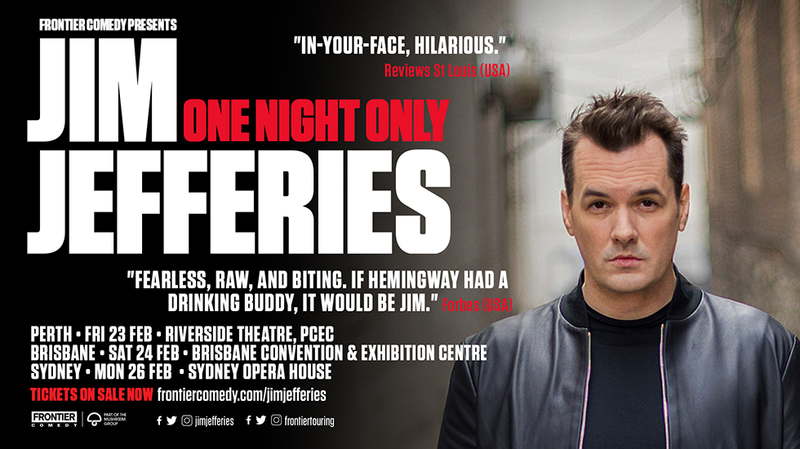 Jim Jeffries performs at Riverside Theatre, Perth Convention and Exhibition Centre on Friday, February 23. Tickets on sale now.